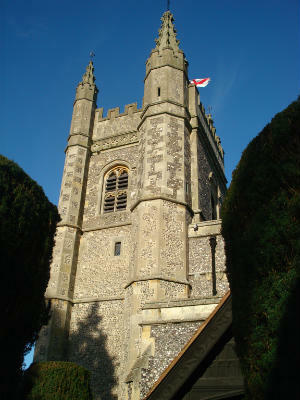 The church is situated in Windsor End, Beaconsfield Old Town and has a list of clergy dating back to 1210 A.D. In 2010 we celebrated 800 years of ministry here going back to William de Windsor who was appointed in 1210 by the Rector of Burnham, Walter de Windsor (could there have been a family connection, we wonder?!). 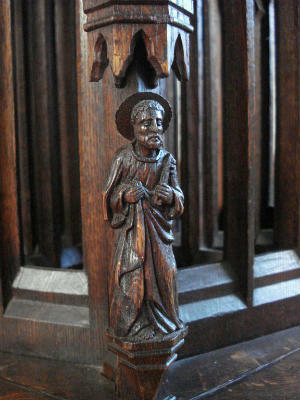 Little is known of the church architecture until 1420. It was evidently a well-constructed building with a tower, because in 1420, the Lord of the Manor made a grant towards the upkeep of the belfry. In 1521 John Waller left money to build a steeple. In 1634 and 1657 Inspectors of Churches reported that the fabric was badly in need of repair, but it was not until 1705, when the rights of patronage passed to Magdalen College, Oxford, that extensive repairs were put in hand. Through the centuries, there have been a few rectors who have gone on to become bishops, one who witnessed the historic meeting between Henry VIII and the King of France at the Field of the Cloth of Gold and many who faithfully served the people of Beaconsfield over the years. As the population grew, a larger church was needed and between 1869 and 1885, a major rebuilding scheme was undertaken, resulting in one of the finest churches in the Chilterns. In centuries past, the church had responsibility from the payment of tithes made to it, to administer relief for those in need and take care of the community. This responsibility has now passed over largely to the state, but we hope that in St Mary’s, you will find a community of people still concerned for its neighbourhood and actively involved in making a difference to their lives and sharing God’s love with them. We often get enquiries from people wanting to know information about ancestors who have connections with the church in previous years or even centuries. Most of our records are stored at the County Record Office in Aylesbury, so you may be better to contact them in the first instance at archives@buckscc.gov.uk. We also have comprehensive survey of the gravestones and memorials in our churchyard, the index of which can be downloaded here. For a more complete history, please email us using the link below or contact the Parish Office for 1210 and all that by Robin Pedler, a history of the church over 800 years.